National Aluminium Company Limited is inviting applications from eligible applicants for the RECRUITMENT OF EXECUTIVES & DOCTORS. National Aluminium Company Limited (राष्ट्रीय एल्यूमिनियम कंपनी लिमिटेड) has units in Odisha at places like Angul and Damanjodi. National Aluminium Company Limited was incorporated as a public sector enterprise of the Ministry of Mines, Govt of India in nineteen eighty one. 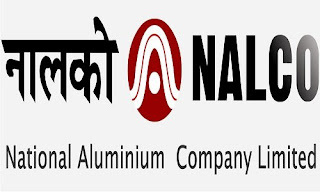 Candidates may check other info about NALCO Recruitment like as post name, no of vacancies, qualification require, age limit, salary details, selection process, how to apply, important dates etc are given below. Education Qualification ->> Read official notification to get details regarding post wise qualification . Selection Process ->> Selection of the candidates will be done on the basis of their performance in written test, interview & group discussion.